It's August already, how can that be? However I am pleased the weather over the last couple of days has actually felt like summer, I hope it's here to stay. I've taken advantage of the blue sky and put together a mini mid-season look book shoot for my website. 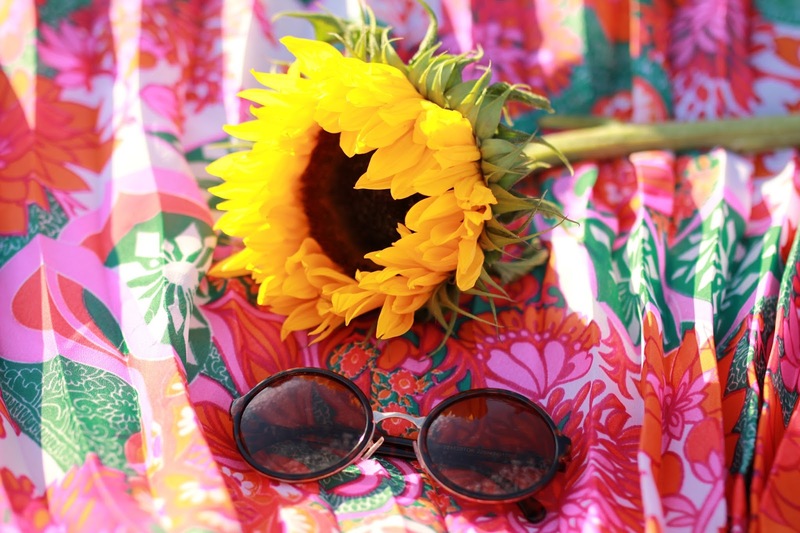 Sunsets, sunflowers and seventies prints seem to be my favourite things about summer this year. Outdoors with my camera is my favourite place to be and this location couldn't be more perfect as it is literally on my doorstep. 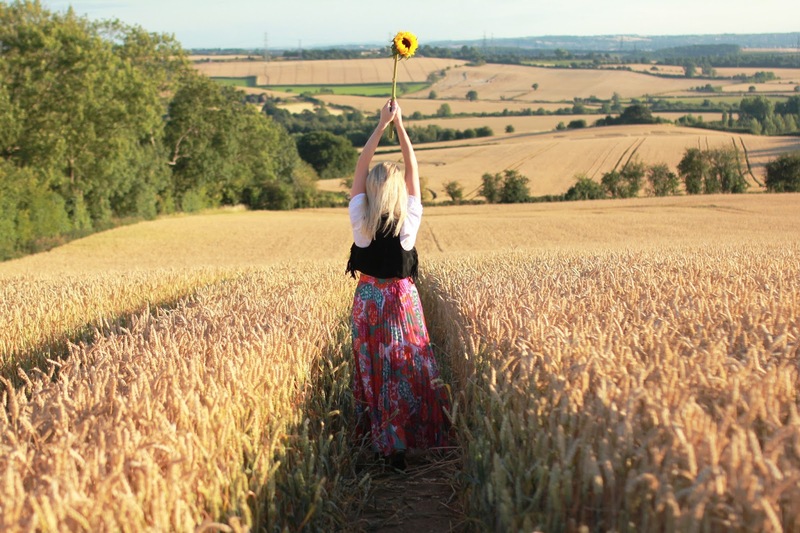 In the evening sun the corn fields have the most majestic golden glow. They are to be harvested any day now I thought I had better make the most of this beautiful scenery. The 70's has had a huge influence in the fashion world this summer and it's hanging around for autumn too. I chose some bold 70's floral prints for the outfits in my look book. This is just a little preview, the full look book will be on my website next week.